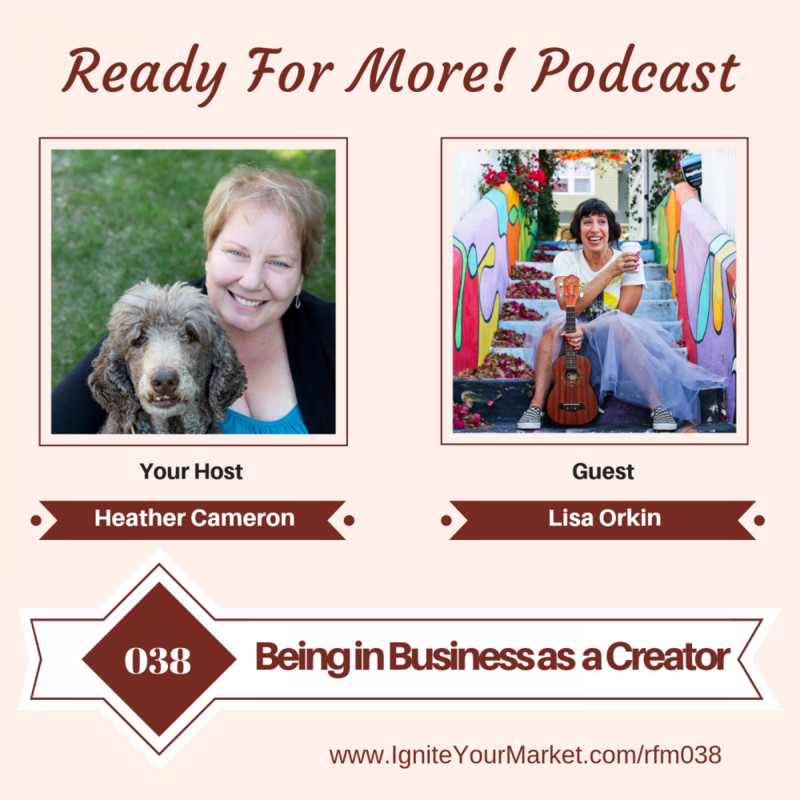 In this episode Lisa Orkin and Heather chat about her journey in business as a creator and comedian. Lisa shares her expertise and advice about podcasting for your business and building a business in the podcast industry. Lisa Orkin is an award-winning comedy radio producer and filmmaker and creator of the Podcast Project Woo Woo. Project Woo Woo is an unscripted interview show where comedian Lisa Orkin coerces her brilliant world-class actor and comedian friends to play her favorite people from the worlds of self-help, spirituality, literature, philosophy, and entertainment… dead or alive. In her role as Creative Director for the award-winning Radio Ranch, Lisa has over 15 years experience in copywriting, scripting, audio production and voice acting in both traditional and digital media. Project Woo Woo is Lisa’s fourth podcast. Lisa other podcasts include, Men Have Feeling Too which morphed into Honestly Lisa and the wildly popular Love Bites with Robbie Rist. 1:45 Lisa’s expertise as a creator – comedian , podcaster and producer. 4:10 How to manage a business as a creator – Get help.